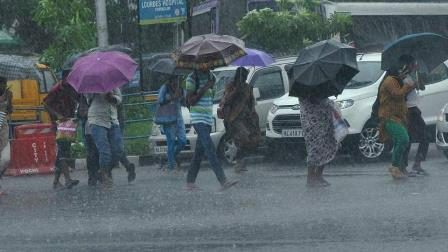 New Delhi: The Indian Meteorological Department (IMD) on Monday predicted the southwest monsoon will be near-normal in the country this year. According to IMD’s latest forecast, rainfall will be well distributed from June to September this year. The south-west monsoon makes its onset over India around May-end and is critical for the agriculture sector. The four-month rainy season contributes more than 70% of India’s annual showers. It also forecasts that weak El Nino conditions have developed over the equatorial Pacific Ocean and they are likely to persist this summer. However, IMD officials have maintained that these conditions would weaken after summer. If El Nino retains strength and impacts monsoon rains in June and July, the first two months of the season, it could lead to delay in sowing of rain-fed Kharif crops affecting overall crop production.